Solar power is the most invested and prevalent alternative energy source in Australia. A growing number of homes and businesses are turning to solar in an effort to reduce electricity costs and their impact on the environment, but do you understand the basics of solar energy? How does it actually work? 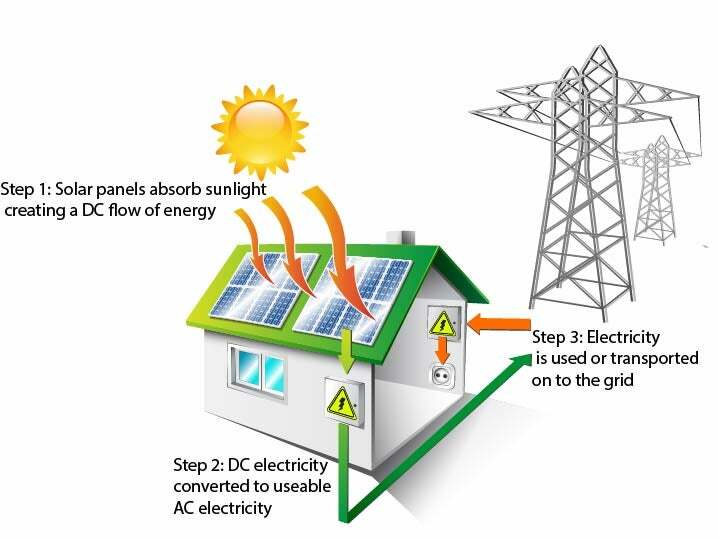 Solar panels are comprised of an array of solar cells, which are the smaller blue or black squares within the panel. Solar cells in most commercial panels are usually made of two layers of silicon described as a p-type on the bottom and an n-type on top. These layers are sandwiched together by thin metal lines which serve as the solar cells conductor. Of course, different brands might use slightly different materials or grades of silicon to make their solar panels more efficient than competing brands. The silicon can also take completely different structures; Black solar panels are said to be ‘monocrystalline’ which have higher efficiency ratings due to its uniform structure. Blue solar panels are known as ‘polycrystalline’ meaning they have multiple silicon structures which in turn makes them slightly less efficient, however generally more affordable. Traditional power generation systems rely on an energy source to spin a turbine, in turn charging a generator that creates an electrical current – prime examples are coal power plants, wind turbines and hydroelectricity plants. Without going too deep in to the science behind the voltaic effect, essentially what happens is that when photons of light hit the n-type layer of silicon on top, it gives energy to an atom’s outermost electrons, allowing electrons to break away from their atomic orbits. The flow of these free electrons form a DC electric current. This DC current is then transformed by an inverter in to useable AC electricity. The loose electrons will eventually flow to the p-type silicon, while any excess electric current which your household does not use is fed back to the grid. What are the downsides to solar? The sun provides what is essentially a limitless source of green energy, yet solar power is not without its drawbacks. Solar panels are much less efficient than traditional power sources. To illustrate, a coal power plant can convert around 70 per cent of the energy contained in coal into useable energy. By contrast, the world record for solar cell efficiency is 46 per cent, with real-world efficiency usually being a lot less (around 10 to 25 per cent) due to cheaper construction of commercial panels. This low efficiency means we have to use a lot more solar panels to produce enough electricity, holding solar power back from its full potential as an alternative energy. Solar panels need sunlight (duh), meaning that the climate and weather has a massive impact on the output of your solar panels. While here in Australia most of us enjoy a warm and sunny climate, many parts of the world are not so lucky. Cloudy countries will not be able to produce nearly enough solar energy for it to serve as a reliable energy source. Solar panels unfortunately remain quite expensive, costing around 1,200 per kW. To put that into perspective, a relatively standard 4kW solar system will cost you around $5,000 to install. The silver lining is that the price of solar has come done considerably in recent years, and is expected to continue to fall in coming years. While solar technology definitely has a long way to go, it is a fantastic alternative source of energy with limitless potential. 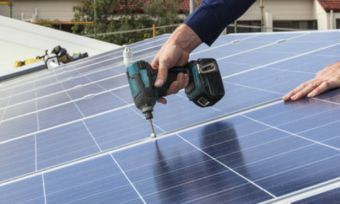 We hope this article has given you a better understanding of the workings and practical benefits and challenges of solar energy.